Send your recipient the warmth of sunshine even in the middle of bitter winter with the Sunrise in the Tropics bouquet. 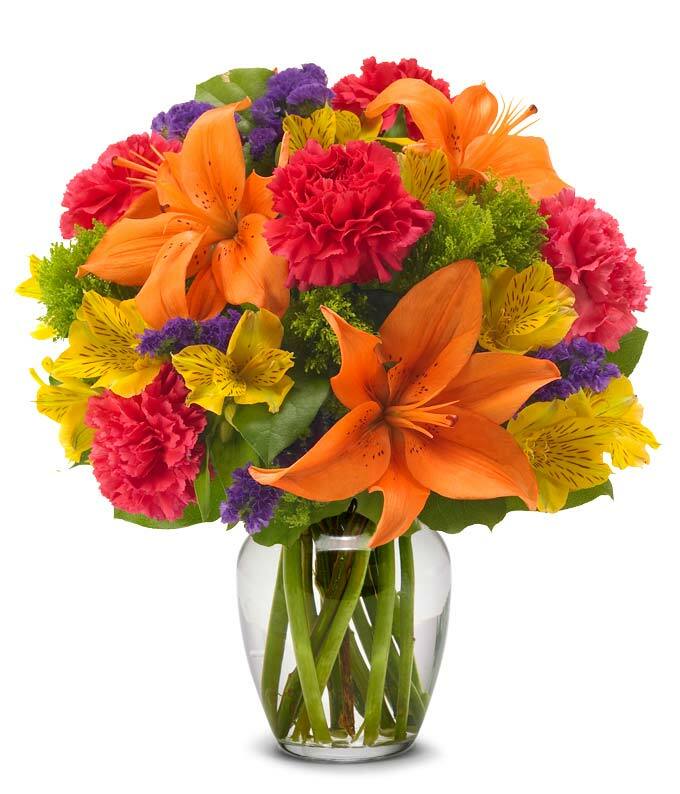 Green trachelium, hot pink carnations, orange lilies, purple statice, and yellow alstroemeria are hand-arranged in an orange vase. This bright and colorful bouquet is sure to delight. Measures 14"H by 11"L.